*Gifted, to know more about my policy regarding gifted items featured on my blog you can read my disclaimer. Back at it again with another product review. I was always sceptical about using any more of the Shea Moisture products. Since I have been on my healthy hair journey I have tried four of their ranges; their Raw Shea Butter Range, Coconut & Hibiscus Range, Jamaican Black Castor Oil (JBCO) range and the one I am reviewing today their Argan Oil & Almond Milk Range. The only range so far that I liked and have since repurchased has been the JBCO range. And even then I only liked two or three products from that range. So when I was asked if I wanted to try their Argan Oil & Almond Milk range I was hesitant, mostly because it is aimed at “fine, straight, frizzy, wavy, hair types” so I instantly thought “white girl friendly“. Even though I was sceptical, I thought there was no harm in trying out these products and If i didn’t like them I just wouldn’t use them again and could pass them onto someone else. You can purchase some of the Shea Moisture products in Boots & Superdrugs for all my UK naturals. The scent running through all of these products is really nice, I kind of smells like a creamy yogurt if that makes sense, like it smells smooth, creamy and sweet. When it comes to testing shampoos, I can tell if it’s a good one or not by the way my scalp reacts to it. If I instantly need to scratch my scalp after washing I know It’s not the one for me, or if my hair just feels super stripped then It’s a strong no from me. Surprisingly this shampoo worked well with my hair. It left my hair feeling smooth and soft, and my scalp did not feel stripped at all. My hair didn’t feel super moisturised, which is good because I wanted a good clean scalp minus the dryness. I did notice it claims to be a gentle cleanse and as I have low porosity I need a good clarify shampoo so I was worried it would later give me problems with buildup as it wasn’t as clarifying as I needed it to be. I would say that it was very easy to detangle my hair after washing, considering I hadn’t detangled it prior to washing it. I have made a short video for instagram so you can see how my hair looks after two washes with this shampoo and how it works with the other products in this range. 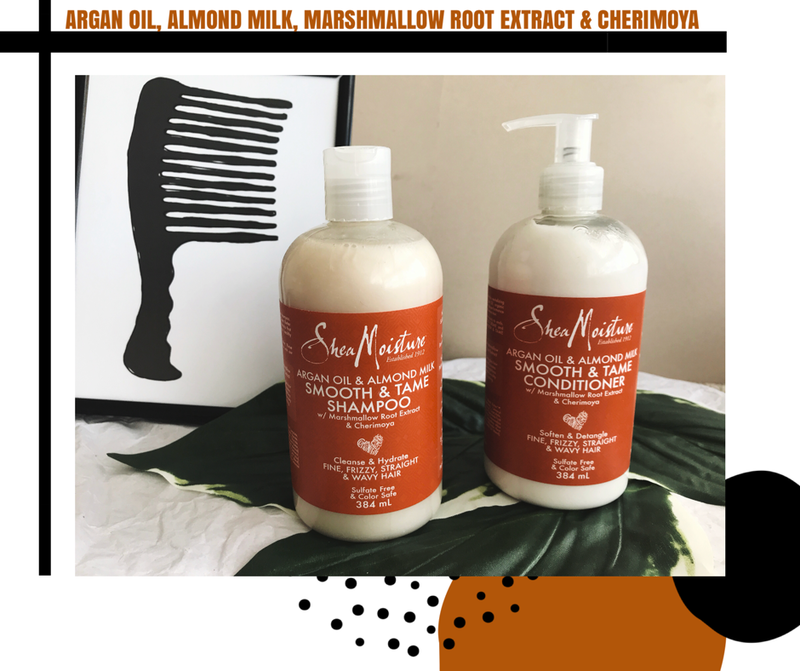 Shea Moisture is known for it’s conditioners doubling up as a leave in conditioner. I don’t really get how it works as a leave in without being called a leave in. The conditioner did not add much to my hair, my hair was already soft after shampooing so the conditioner only really added some slip to further detangling and definition. I would say that I liked how light the conditioner was, I knew I would be going in with the blow out crème which is a lot thicker, so I appreciated the fact that I didn’t have to apply two thick products to my hair. I did add Curly By Nature‘s Hair Repair Oil on top as it works as a heat protectant and I just needed a bit more moisture to my hair. You can read my review on the hair repair oil here. I tried the tension method for the first time to create this blow out style. I followed Tri from Curlture video to guide me through this. 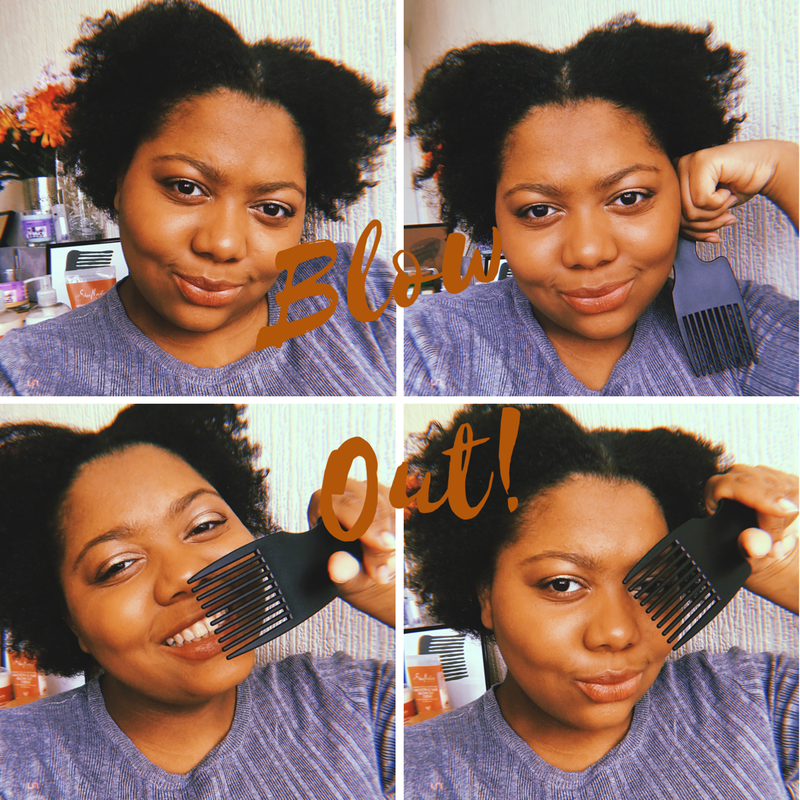 I sectioned off my hair and added a small amount of the blow out crème before running the blow dryer over each section, whilst using my tangle teezer to comb through the section. The tension method works well if you want some more control when blow drying. 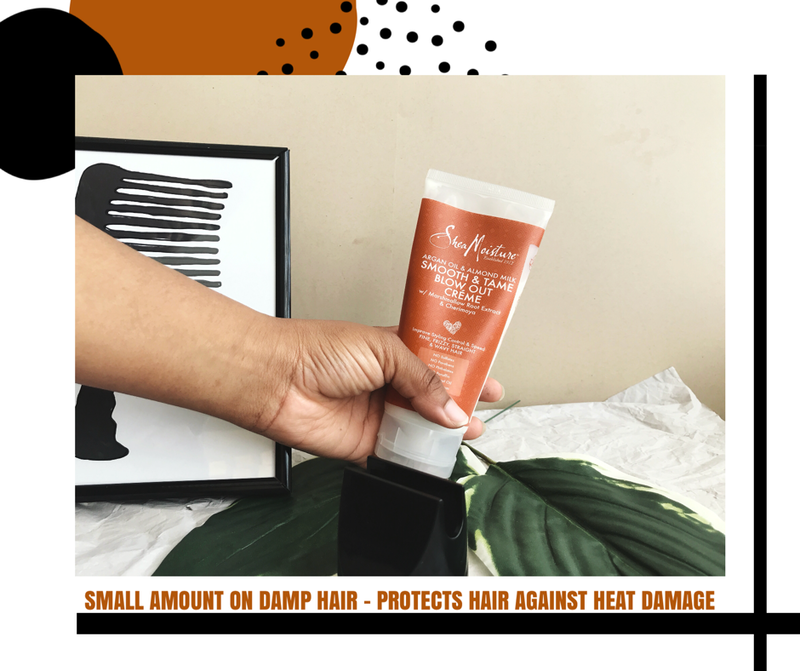 I used the low heat as always, my hair is fine and prone to heat damage so I very rarely use direct heat especially in the warmer months, I tend to work on wet hair. I really liked the way it left my hair smelling sooooo good. It should be noted that I think this method would have worked better with a brush that allowed heat to pass through it. I wasn’t completely happy with the results, I did feel like my hair was a little dry compared to when I use a heat protectant serum. Normally a cream gives my hair a nice shine and smooth feel to it, I didn’t get this with the Shea Moisture blow out crème. I had to add some more oil to the finished look to help break up the product a bit more. I would rate the whole range a 3 out of 5, mainly because none of the products made a big difference to my hair. I would still use the shampoo, and possibly the conditioner. The blow out crème however I would not use again. It just didn’t do the trick for me, it does give you a frizz free blow out look, but the product is too heavy for my hair. I found it strange how thick the product was considering who this line is targeted towards. Surely those with straight hair would find this product way too heavy. I would recommend the shampoo if you are looking for a gentle cleanse, it does the job and smells great. The conditioner Is nice if you want a really light leave in. The blow out crème? It’s a no from me. Which is a shame, it could have been a good product if it was lighter and had more of a slippery consistency. More of a silicone feel to it to really protect and coat the strands. 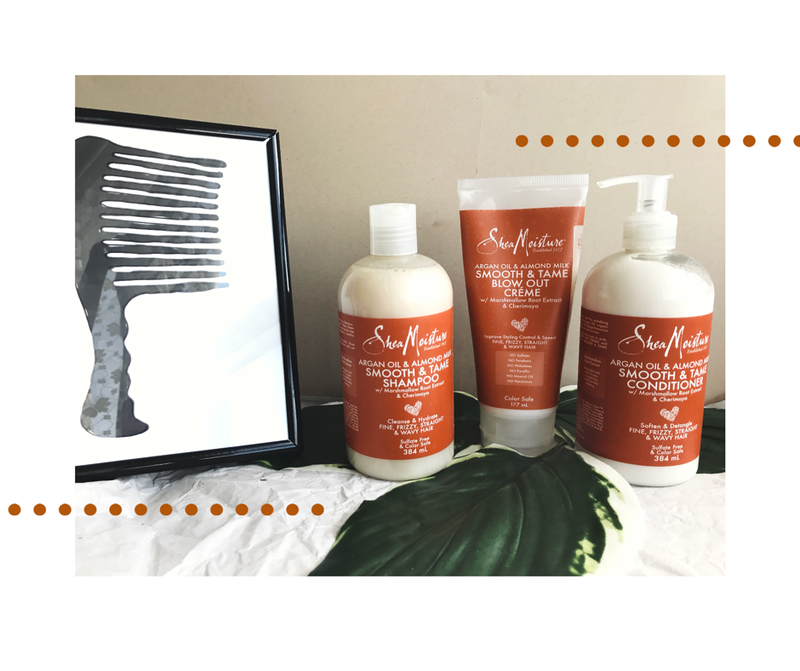 How has your experience with Shea Moisture been? Have you ever used their products before? 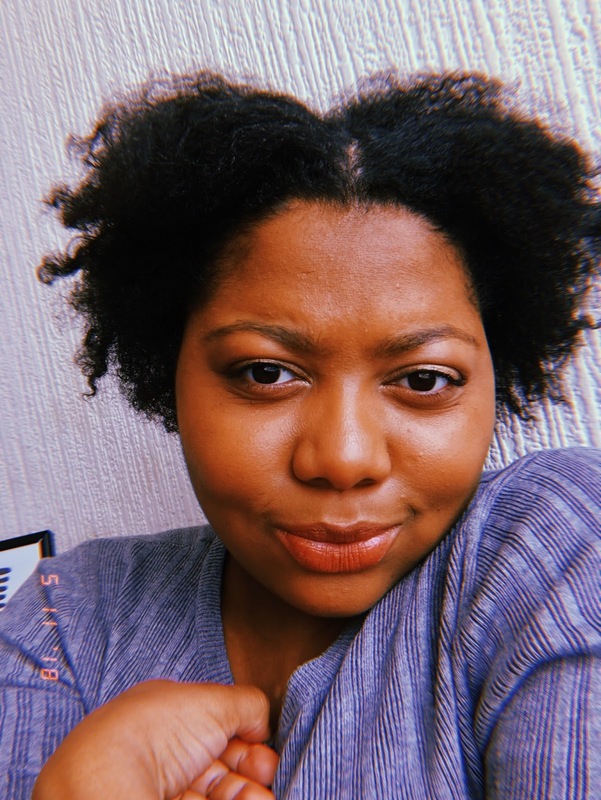 Next How Do I Grow Healthy Natural Hair?